So there you are. Sat out on the decking, laid back on the cushioned sofa. In your hand rests a tumbler of single malt. It’s a Macallan and you slip it slow out of appreciation to the 25 years it took to make. On the table before you is a platter of Gorgonzola and Gouda, but you reach forward for a slice of cured Iberian Ham. A firework goes off and you look out over OCT Harbour. From your front row seat of the lake, you have one of the best views in the area of the firework show happening across the water. Soak it all in, because Unicorn Bar offers an experience that is almost as rare as its namesake. Unicorn Bar can be discovered in the gift that keeps on giving that is OCT Harbour. Walk from the nearby Shenzhen subway station through the cocktail bars and fine dining restaurants towards the bar and you can take in the evening atmosphere. Somewhere a band is playing Hey Jude while somewhere else there is someone playing a Sam Smith song on saxophone. Continue on your way, however, down to the private waterfront to find Unicorn Bar. The bar has a quite striking architectural design and its something that hits you from the moment you step inside. Think traditional men’s club mixed with a pop art exhibition. But it works. On one side you have a long whiskey bar behind which are private rooms while on the other side are white statues of unicorns lit up with purple lighting. The décor comes together to meet on the decking. The long deck offers comfort and privacy with plenty of cozy seating areas that look out over the water. At its core, Unicorn Bar is a whiskey bar and it certainly has the collection to match it. From your Highlands to your Lowlands, Unicorn Bar has got just what the doctor ordered. Some highlights of the collection include Yamazaki 25 Years, Talisker 30 Years, and a personal favorite in the Ardbeg 23 Years. But Unicorn Bar likes to get creative with the drinks too and they’ve got a cocktail menu that is as innovative as the whiskey collection is extensive. There’s the unashamedly flashy Smoky Mojito. While it leaves its mark with its presentation, when you take that first sip you realize there’s substance there as well as style. My personal favorite was the Sangria. Using only the finest ingredients and the freshest fruits, it’s rare to find a Sangria that is so refreshing, so smooth, and so deceptive its potency. Why try something new when they are making the classics this good? After a couple of drinks, it’s time for something to eat. Unicorn Bar has a carefully chosen pick of snacks that pair perfectly with a Balvenie 30 Years or a Singapore Sling. The highlight is undoubtedly the Iberian Ham, which is imported from Spain, cured for 48 months, and sliced in front of your eyes. The Cheese Platter, which boasts a board of half a dozen different cheeses, and the Fruit Platter, which arrives smoking from the dry ice it is presented on, complete what makes a perfect table of finger foods. If you are looking for a greater degree of privacy or just somewhere to talk business then you can look at taking one of the three private rooms available. They are only open to VIP members, a membership card that requires a deposit of RMB50,000. For those not quite ready to become a VIP, there is always the decking and its view. And what a view it is. Arguably, what makes Unicorn Bar stand out above the other bars and restaurants in the area is its location. From the decking, customers can look out across the entire lake with a totally unobstructed view. Perfect for viewing the daily firework display at 8:30 pm. When it comes to somewhere to drink, few places are as relaxing, offer as much privacy, or have such a view. Unicorns were meant to be mythical. It turns out they are real. They are just extremely rare. Make sure to come pay a visit to Unicorn Bar and savor the experience. Shenzhen. It’s a hell of a city. Everyone is moving so fast and everything is constantly changing. What’s the talk of the town one day, can be just one in a dozen by the end of the week. Blink, and you might miss it altogether. Few businesses are more fickle than the cocktail bar business. Finding a good spot that sticks around can be rarer than a bartender who knows how to make The Commonwealth. Where in the past you had to hitch a ride to Beijing or Shanghai for a good Manhattan or Cosmopolitan, now there are a number of hip joints in Shenzhen where you can find someone who knows how to fix up a drink. We stirred up an essential guide, shaking out all the pretenders and phonies, to leave you with only the finest mix of cocktail bars in Shenzhen. If you are in search of a touch of class and no small amount of style, then look no further than Compass Bar. Despite being one of the city’s best-kept secrets, it’s also one of Shenzhen’s longest running bars. Compass Bar is a speakeasy, but there’s no need to go wandering down some back alley or find some novelty façade. All you need is a drop of confidence and a dash of swagger. Head to the Wongtee V Hotel and ask the concierge to send you up to the 40th floor. There you will find a beautiful wood paneled and leather-seated bar that offers stunning views over the city. Do yourself a favor and order one of the classics such as a Martini, Old Fashioned, or the bartender’s specialty, Negroni. After all, they are classics for a reason. They say a change of scenery can do a world of good for one’s spirits and disposition. So too is that equally true of a cocktail bar. Originally in Seaworld, A01 recently relocated to Upper Hills near the most chic hotel in town, Muji. The relocation has led to something of an evolution. While it’s still a cocktail bar, A01 has broadened its horizons to include an ever-expanding range of the finest gins this side of London. The art deco interior has been as carefully chosen as its drinks menu while there is also outside seating who care to savor those cooler evenings. Nowadays, it seems a bar isn’t worth going in unless you had to spend half an hour searching for it and walking through a shop or restaurant or two to get inside. Speakeasies are all the rage right now in Shenzhen and that’s largely in thanks to Barber Shop and it’s new sister shop Massage Bar. The layouts of the bars wouldn’t look out of place in Soho Hong Kong or East Village New York, and the bartenders have the drinks to match too. We could tell you exactly how to find these two speakeasies, but then again, finding them by yourself is part of the fun, isn’t it? There are a few places hipper right now to open a cocktail bar than Nanshan, but Ciao Amici has been there mixing cocktails long before anyone else. With a cocktail menu that is accessible for newcomers and veterans alike, it’s not hard to understand why it’s busy most nights of the week. Head down any evening during the week and you are likely to find workers from the nearby tech offices talking shop over a few drinks on the outside seating or sat inside relaxing after a long day. While most cocktail bars in China fall drunkenly and helplessly in love with whiskey, RMK’s affectations lie a little closer to home. The main ingredient of the bar’s cocktail menu is rice wine. They say enemies can make the unlikeliest of bedfellows, and it appears that rice wine makes for an irresistible partner for a number of cocktails. The original concept has spread to multiple locations across the city already. Due to the flavor profile of the spirit, many of the cocktails come out fruit, light, and easy to drink. This has lead RMK to attract a crowd with less hardened drinkers and more young clientele. As more and more bars open all around the city, Shenzhen is fast becoming the new cocktail capital of China. One bar in particular that is opening up in August in the trendy OCT Loft area of Nanshan looks set to join our list of essential cocktail bars. Life On Mars promises modern cocktails made with fresh, seasonal ingredients and utilizing a wide selection of spirits. Rather than focus on a narrow selection of concoctions, it promises to be a bar for the adventurous, for those who want to try something different. Opening August 18th, keep an eye out for Life On Mars if you are in the mood for trying something new. There’s a certain satisfaction in enjoying a drink in a speakeasy. Perhaps it’s a sense that it’s well earned after a long search. Maybe it’s that tiny bit of smugness knowing you are having what most others do not know about. Whatever the underlining psychology, it’s a feeling I undeniably get when sipping on my Kyoto Spa cocktail in the bar at Ci Yuntang Traditional Massage. Like all memorable nights at a speakeasy, my evening begins with a search. After exiting from the subway station at Taoyuan, I make my way along the main road following the map on my phone. Reaching the corner of a crossroads, the map tells me I am near my destination. A young Ukrainian man, who introduces himself as a bartender at the speakeasy, asks if I am looking for the speakeasy. He leads me from the street and through a shop front of an old massage parlor. I pass through the massage parlor façade onto the floor of a traditional Chinese restaurant. Low round wooden tables are dotted around while overhead there are lanterns hanging. Off to the side, there is an open kitchen where a chef is busy preparing dinner. As I look around the restaurant, the Ukrainian bartender heads to a shelf full of different sized and shaped ornamental vases. He pulls gently on one in particular. The wall begins to slowly slide. There is a cheeky grin on his face as he says to me, “This way”. The speakeasy boasts a strong industrial look with long wooden benches running down the middle, exposed foundations along the walls, and iron wrought railings surrounding the bar. The place is soaked in neon from the violet lights that illuminate the bar from below to the burning messages scrawled across the walls such as ‘When life gives you lemonade, add vodka’ and ‘Trust me, you can dance’. It seems like the sort of joint where you would expect a pop-up party to be held. The kind you only find out through a friend of a friend and you have the password written on the back of your hand. Before I have a chance to take in my surroundings, I am invited upstairs. Here, the bar more closely resembles a private member’s club or a luxury hotel bar. The long wooden benches are replaced with leather sofas and the neon lights have been swapped out for classic light fixtures on the wall. The bar here is a much more open affair, with cozy armchairs to sit in while the bartender makes your drink in front of you. It’s the kind of spot you would take your clients after a business dinner or even somewhere to go enjoy a fine bottle of Single Malt after a long day at the office. Between the downstairs and upstairs, Ci Yuntang Traditional Massage must be one of the most stylish bars in the city. Between the attention to the smallest detail and the well-thought-out layout, the whole place is class. If it is a whiskey you are after, then Ci Yuntang Traditional Massage is bound to have something for you. 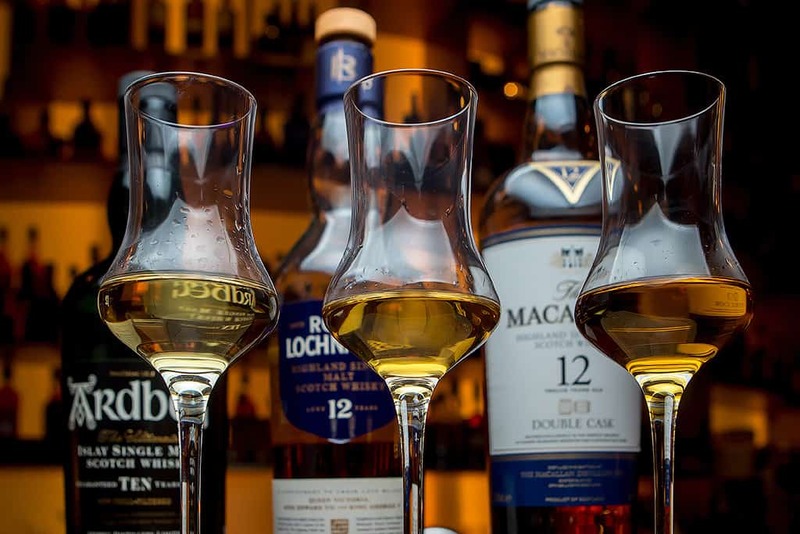 From renowned Islay whiskies such as Caol Ila and Laphroaig, to the finest imports of the Highland in Dalmore and the Lowlands in Auchentoshan. There is quite simply an embarrassment of riches when it comes to whiskies hailing from Speyside with connoisseurs being able to choose from Balvenie and Singleton Dufftown. Yet, it is their range of cocktails that Ci Yuntang Traditional Massage keep bringing back the clients looking for the speakeasy time after time. The name of each concoction is associated with the massage parlor the bar is called after. From the mysteriously named Sakura Bath to the intriguing sounding Massage Of The Tongue, the only thing more original than their names is the mix of ingredients that the bartender has incorporated into the drink. All the cocktails on the menu are worth at least one try, but if pushed for a personal favorite, I would be torn between the Da Bao Jian, Sakura Bath, and SZ Bay Sunbath. The Da Bao Jian rounds up a cast of roguish ingredients including Seaweed Talisker, Caramel Sale, Egg White, and Ardbeg 10 Years. Together, they make one dastardly fine cocktail. The Sakura Bath is a different animal altogether, which utilizes Tequila, Sakura Syrup, and Cherry Tonic to make the sort of drink you won’t forget fast. Finally, it’s the SZ Bay Sunbath. With Dark Rum, Cinnamon Whisky, and Coffee Liqueur, it’s not hard to see why this dark and broody concoction attracts a lot of attention. If after a few cocktails or whiskies, you feel like trying your hand at something else, Ci Yuntang Traditional Massage also offers beer pong. The speakeasy boasts tables that utilize the latest beer pong technology. Great for those with a competitive streak or just friends who like a fun excuse to drink more. So whether you are trying to get into the most exclusive party in town or if you are just looking to sit down with a cocktail or two with a work colleague, Ci Yuntang Traditional Massage is a speakeasy worth finding.